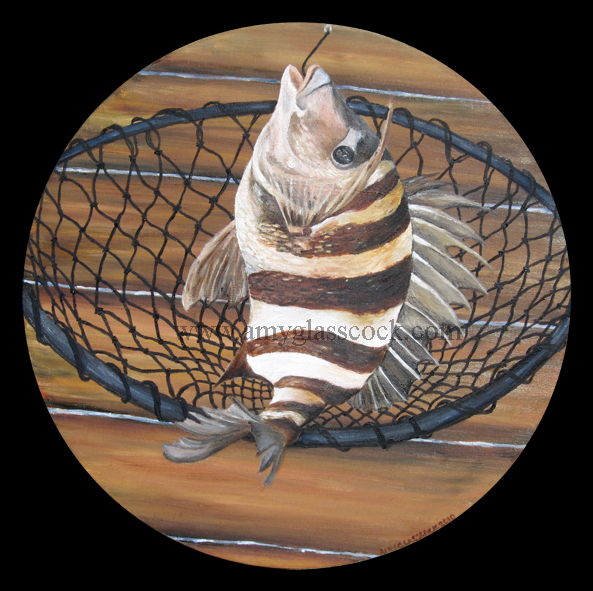 This painting is based on a beautiful Sheepshead fish that my husband caught in Rockport, Texas. (YUM!) 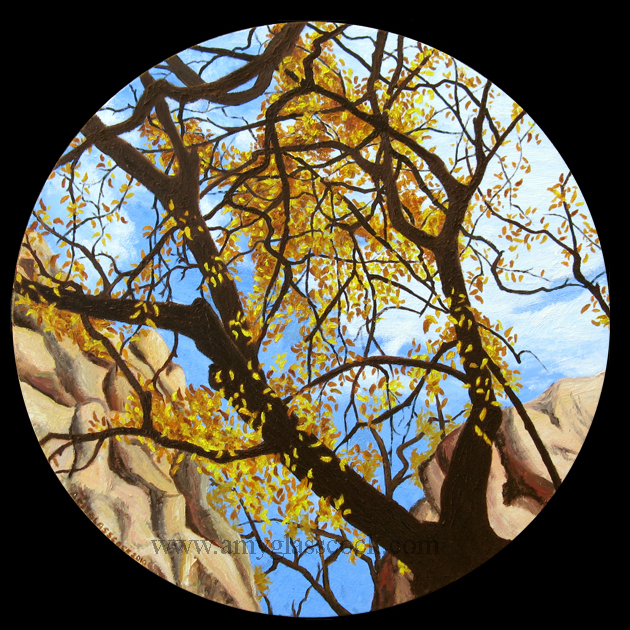 As I painted this fish I kept in mind my idea from the last painting (Seeing Through the Trees) which was that I want to explore using more layers of objects so that the viewer has a lot of things to see through. 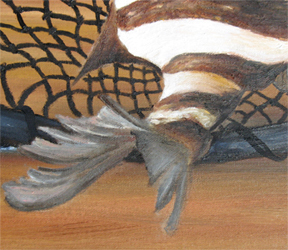 In this painting I overlapped water, dock, net, and fish as I explored this idea more. I really like how it turned out. 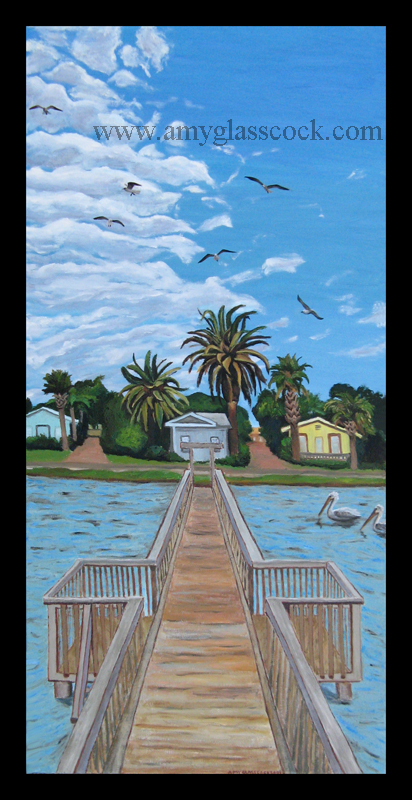 PS: I almost included this fish in my painting "Our Fishin' Spot in Rockport Texas" but as I painted it I decided that the dock looked better without anything on it.